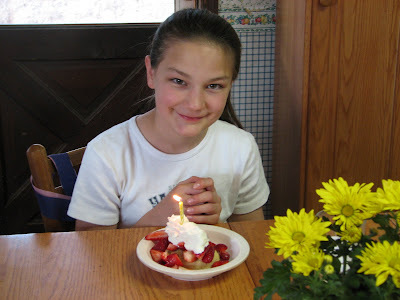 Bentley Farm Gazette: Birthday Season Kicks Off! Rebecca celebrated her birthday this weekend with a cooking theme. After decorating aprons, making cream puffs and cupcakes with her girlfriends, she had a birthday treasure hunt. When you live at a construction site, some particularly unusual hiding places exist!